Visiting the California coast is always pleasing to the eye and good for the soul. Morro Bay on Highway 1 offers both of those elements. Set roughly 200 miles north of Los Angeles and over 200 miles south of San Francisco, Morro Bay is a quintessential town along this fabled highway. Just look for the 581-foot tall monolith for which the town is named. Morro Bay State Park is one of the gems along the coastline. Its popularity is such that you should make reservations long in advance, especially during the summer months. This is not only an aesthetically appealing place to camp, but Morro Bay State Park is close to lots of attractions. The pet-friendly state park features 140 sites, 30-amp electrical, water, pull-through sites, a dump station, restrooms, showers, and hiking trails. The Museum of Natural History is also located within Morro Bay State Park. The museum overlooks Morro Bay and offers nature walks, exhibits, lectures, puppet shows, videos, and docent-led tours, among other activities. Nearby is Morro Bay Golf Course. 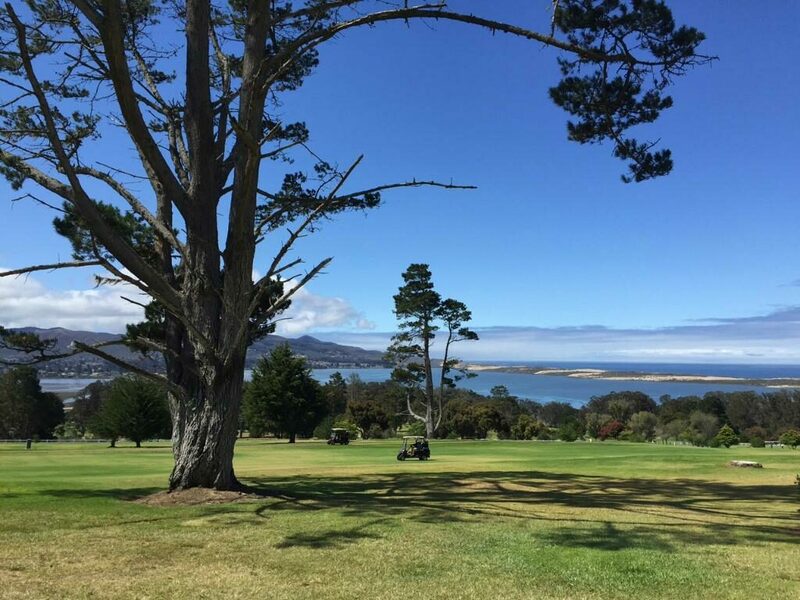 Built in 1923 on a hillside overlooking Morro Bay, this golf course was originally called Cabrillo Country Club with just nine holes. The course has since expanded to 18 holes, with the original nine holes from nearly a century ago now serving as the back nine. Currently, the course is one of the most popular in Central California, along with being designated an Audubon Cooperative Sanctuary. In addition, the National Audubon Society has designated Morro Bay as a globally important bird area since this is a major migratory stop for thousands of birds during winter and spring. Subsequently, Morro Rock is a protected nesting ground for peregrine falcons. While there is no public access to Morro Rock, the falcons and a large variety of other birds can be viewed from the water and nearby locations. 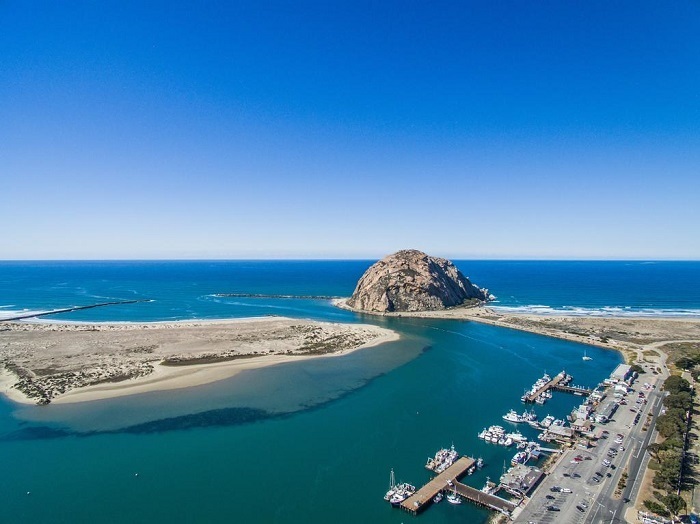 The town of Morro Bay features an inviting Embarcadero with a variety of shops and restaurants. The Thursday Farmer’s Market is popular, as are many of the specialty shops like California Images or Embarcadero Fudge & Ice Cream. For more information on the area, visit www.morrobay.org and Campground Reviews. Your article is spot on. We were in Moro Bay for 3 nights in April, 2018. It is such a scenic place and we thoroughly enjoyed our time there. Great hiking and bird watching throughout the park. We were there in Sept ’16. Nice little town. Sand dollars ALL OVER the beach a few miles north of town.